Santa is smiling and looks quite proud of himself! 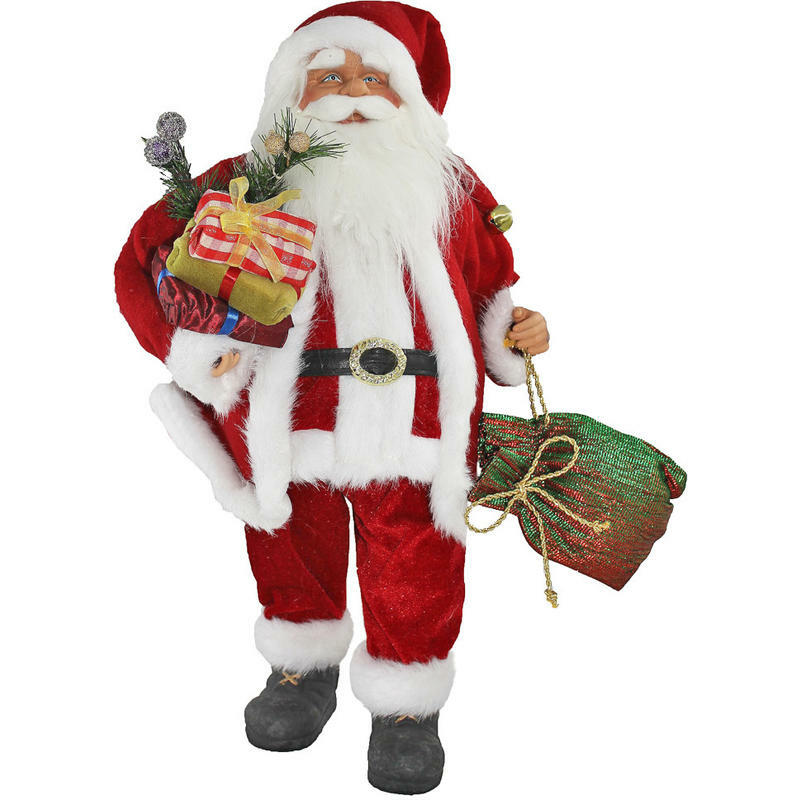 This 46cm tall Standing Santa is a stunning accent that will be at-home in any room or spot in the home. This would be the perfect accent to place on a counter or desk in a business, too. 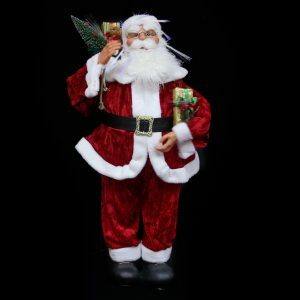 This Santa is sophisticated and elegant- he wears his traditional velveteen suit and has that long, flowing beard that everyone associates with this kindly old elf. He has a twinkle in his eye, perhaps because he knows what is in all of his beautifully wrapped packages and shimmering iridescent bag. 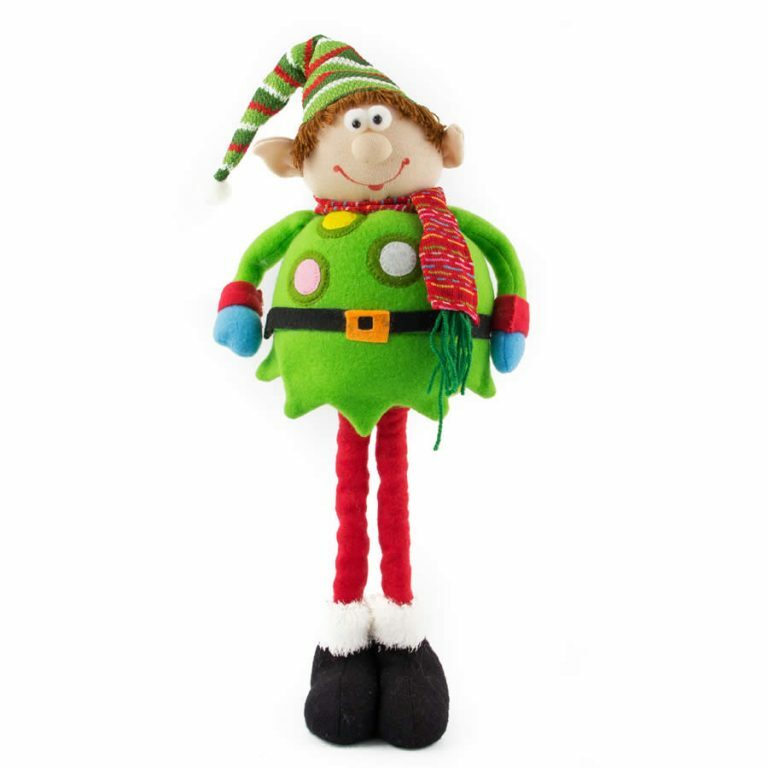 He measures around 30cm wide at the largest point, and with the base, stands around 49cm in total height. 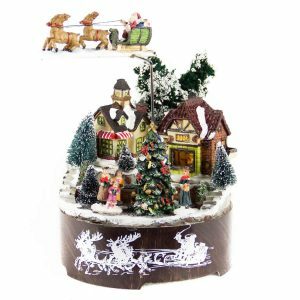 This would be a stunning and impressive gift to share with someone who collects holiday pieces or that simply loves Christmas!